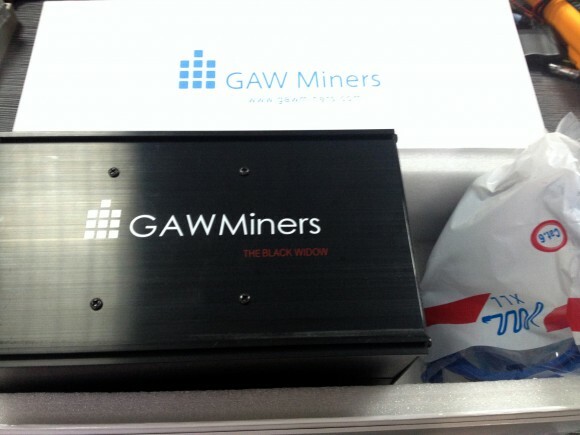 We just got a word from GAWMiners that they have started shipping their Week 1 pre-orders to customers. The people that were early enough to place a pre-order for the GAW Miners’s Srypt ASICs that are based around the 55nm Zeus chips should be getting their tracking numbers already and should start receiving their miners in the next few days. 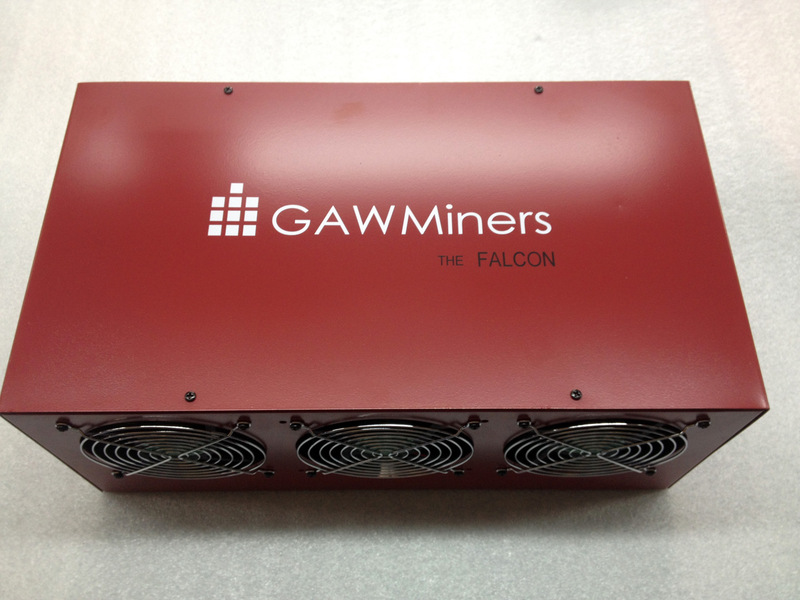 Currently there are pre-orders going on for Week 3 delivery that is scheduled to start at around 9th June, so if you are interested in the GAWMiners Scrypt miners you can still order now and get yours pretty soon. GAWMiners’ Scrypt ASICs include the 1 MHS+ Fury, 13 MHS+ Black Widow, 27 MHS+ Falcon and the 54 MHS+ War Machine starting with a price of $149.95 USD for the smallest unit and going up to $5,899.95 USD for the fastest model. There is also another option and that is to get your new miners hosted. The hosting service increases the price of the miner with $100 USD and there is a 2.5% maintenance fee of your total hashing power. The good thing about the hosting service is that you can at each time get your miner shipped to you should you decide to and the shipping will be free. So this could turn up to be a nice alternative to cloud mining services and we do plan to test the service and write a review on what you can expect from it. It seems the miners use a modified version of cgminer with support for the Zeus ASIC chips. Though apart from the smallest Fury miner (not available as a hosted option) all other miners do come with a controller (ZenController by ZenMiner), so there is no need to have them connected directly to a PC. It seems that the miners will be easily overclockable through the command line of the miner, though it would be interesting to see how much higher will they be able to go. Also voltage modification might be a possibility as 55nm chips can handle overvoltage well, though you should also mind the power usage. I have my Fury and it works well enough. I get about 5% HW errors which I’m fine with. Avg speed is about 1.37MHs at Waffle. The power brick does get hot so I have mine resting on top of a PC case instead of the floor so it gets better airflow. Gawminers seems to be pretty shady. I had a bad experience with one of their products, which isn’t that big of a deal. What makes them scum bags, is that when I left a negative review, they deleted it. I reposted it over 10 times, every time it was deleted within a few hours. All the positive reviews that were there before I posted, are still there today. Now they hold all reviews for staff approval. For all we know, their products could have an 80% failure rate, but we would never know, if they deleted 80% of their reviews. As it was explained to you over email, your post was removed because you posted a review before the service was ready to launch. Now that the service is live, we encourage you to post a fair and objective review. It is ironic how they will delete multiple comments within hours but will not pick up their telephone. That’s odd I have purchased a lot of equipment from GAW. Always showed up when it should and when I call they answer the phone 9 out of 10 times. Always email back within a day if not sooner. I have had excellent support via email, have not tried the telephone yet. I have been sending an average of 2 emails a day (for various issues from shipping questions to hardware questions since this is my first miner), and the longest it has taken them to get back to me is 12 hours. The Fury is the best I could afford at this time, and it has been working decently. I had to take it off of my Raspberry Pi and connect it to my computer because I started getting 21% reject rate on the Pi (yet another email into GAW). seems the link to the modified version of the mining software is down. anyone know where to find it now?